The pressure to be fast, efficient and communicate effectively when working on projects in the construction industry has been increasing. Architects, structural engineers, contractors and facility managers – they all are instrumental in delivering on a successful project while working in different software programs and formats. The exchange and interpretation of the project models in the traditional way is challenging, leading to extra time, effort and errors that can be easily removed from the process. BIM (Building Information Modelling) is being gradually adopted as a solution for effective creation and sharing of project information among stakeholders in the construction industry. The speed of adoption is presumed to accelerate as more countries transpose the EU Directive 2014/24/UE on Public Procurement into national laws. The Directive encourages all Member States to require the use of specific electronic tools, such as BIM, to improve cost and efficiency of public works and their funding. Choosing the right tools that support an error-free and effective sharing of digital models is an important step not only to optimizing your work and collaboration with your stakeholders but also to being prepared for any upcoming regulatory requirements in your market. SCIA Engineer is a leader among structural design applications supporting BIM. With SCIA Engineer, the architect and engineer can work collaboratively on the same project with their specific data and digital models (the structural model created by the architect and the finite element analysis model) at the same time. 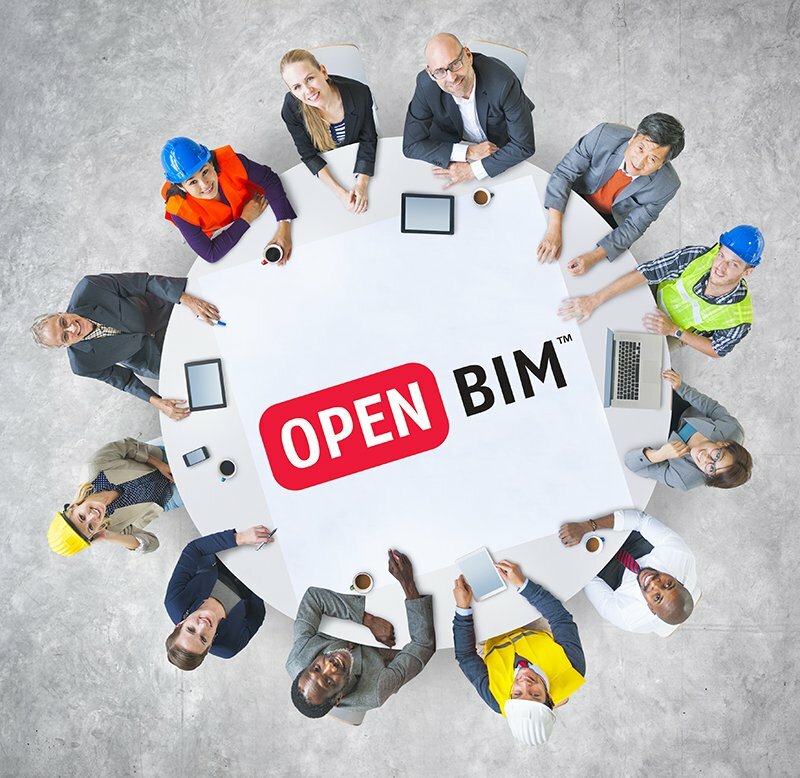 Furthermore, the application enables a direct exchange of data with dozens of other BIM applications via both proprietary (i.e. Tekla, Revit) and open (IFC) formats. SCIA Engineer is certified for IFC import and export. Bi-directional bespoke links between SCIA Engineer and Revit or Tekla allow you to optimize the workflow, utilize the strongest points of individual software and maximize the effectivity. The model can be started in any of the programs, analysed and optimized in SCIA Engineer and then finalised with detailing and documentation in the initial program. Many applications, including Allplan Engineering, ArchiCAD, Vectorworks, Solibri, exchange their data via the open IFC format. To process the IFC data effectively, SCIA Engineer is equipped with a dedicated BIM toolbox, featuring TrueAnalysis, Member Recognizer, Alignment and Revision management, that facilitate the conversion of the structural model into the analysis one. Working with designers that create complex and organic geometries in Rhino or Grasshopper applications? SCIA Engineer interoperates with those applications as well. The models can be sent to SCIA Engineer via XML or a third-party plug-in for analysis, design and code check. SCIA Engineer represents an intuitive, robust and reliable solution for the analysis and design of civil engineering structures that completely fits in the BIM workflow. For more information about BIM and SCIA Engineer, please visit our website or email us at OpenBIM@scia.net.